Auctioneers Christie’s have refuted the view expressed by Oxford academic Dr Matthew Landrus that Salvator Mundi should be attributed to one of Leonardo’s assistants rather than the master himself. Leonardo da Vinci’s ‘Salvator Mundi’ was rediscovered by a small group of American dealers in 2005. It later sold at Christie’s New York in 2017 for a record-breaking $450m (including premium). Salvator Mundi set a record for any work ever sold when it made $450m (including premium) at Christie’s New York in November. Dr Landus, a research fellow at Wolfson College whose latest book Leonardo da Vinci will be published in September, the same month that Salvator Mundi will go on view at the Louvre Abu Dhabi, believes the painted was predominantly by Bernardino Luini, one of Leonardo’s most talented assistants. The highest auction price for Luini is £362,500, according to the Art Sale Index. In an article in The Guardian, Landrus says that similarities between Salvator Mundi and known works by Luini point to the majority of the work being painted by the latter, with only between 5-20% of the painting by Leonardo. He points to areas such as Christ’s face, the garments, hair and shoulders as in keeping with Luini’s ‘Christ among the Doctors' in the National Gallery in London. In fact, Salvator Mundi was acquired in 1900 back as a work by Luini by Sir Charles Robinson, for the Cook Collection, Doughty House, Richmond – well before it was ‘rediscovered’ as a lost Leonardo by a small group of American dealers at a small auction house in the US in 2005. While Landrus is not the first art historian to raise questions over Leonardo’s authorship (others include Frank Zöllner of the University of Leipzig), Christie’s refuted Landrus’ claims saying that the “broad consensus” of scholarly opinion that Salvator Mundi was a work fully ascribed to Leonardo remains unchanged. Academics who supported the attribution included Leonardo expert Martin Kemp, Emeritus Professor of History of Art at Trinity College, Oxford, and Luke Syson, who was curator of Italian Paintings at The National Gallery when Salvator Mundi was included in a 2011 blockbuster exhibition dedicated to Leonardo. Landrus had yet to reply to ATG’s request for further comment. 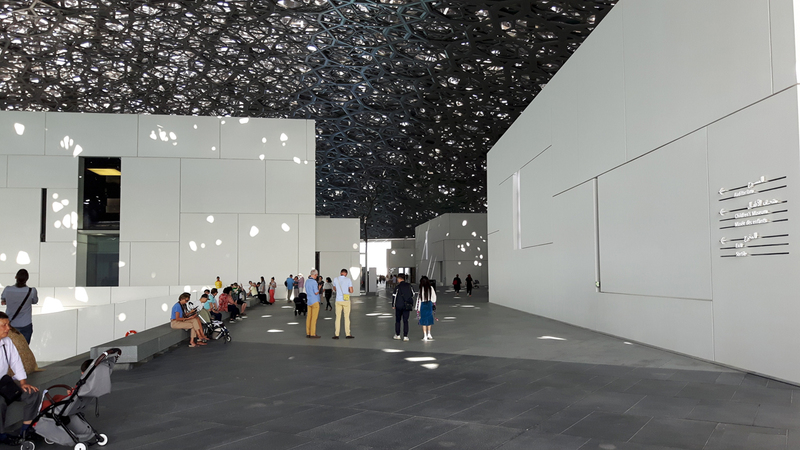 The Louvre Abu Dhabi where Salvator Mundi will go on view later this year following its acquisition at a Christie’s auction for a world-record price. Image by Paasikivi via Wikimedia Commons. The Christie’s auction catalogue from 2017 pointed out that roughly 20 known contemporary copies of Salvator Mundi are known, some of them emanating from Leonardo’s workshop, but none of them having the “manifest superiority” present in this picture. It also mentions that the painting technique uncovered through careful conservation work is close to that of Leonardo’s Mona Lisa and the Saint John the Baptist, including the way the face was built up with multiple, extremely thin paint layers. It also points to the relationship of the painting to the two autograph preparatory chalk drawings for Christ’s robes which are now in Windsor Castle. A timeline of Salvator Mundi’s history – from its commission for Louis XII of France in c.1500 to its unveiling as a new discovery in 2011 is available to ATG digital subscribers.